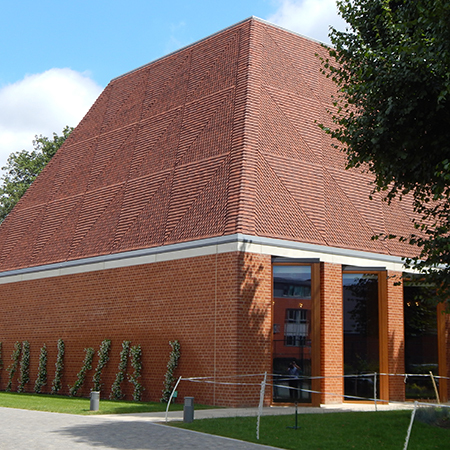 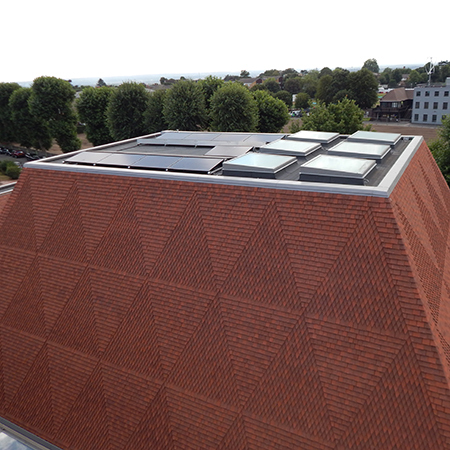 King’s College Music School, Wimbledon, has won the best ‘Commercial Property Application using Roof Tiles’ category in Pitched Roofing Awards, using Tudor’s handmade clay roof tiles, and working with Avonside Roofing Group. 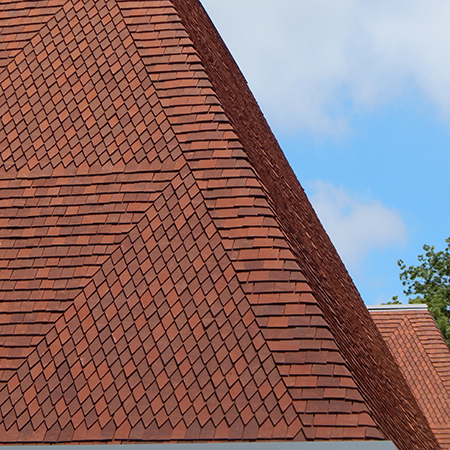 The tiles were chosen over machine made alternatives for their subtlety of tone and texture variations. 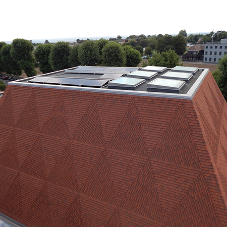 As the new £10 million building, designed by Hopkins Architects Partnership, was located in a conservation area, a palette of traditional materials was used, in an innovative and modern way with a stunning triangular pattern on the roof of the new concert hall and rehearsal rooms created solely from the distinctive shapes of bespoke roof tiles. 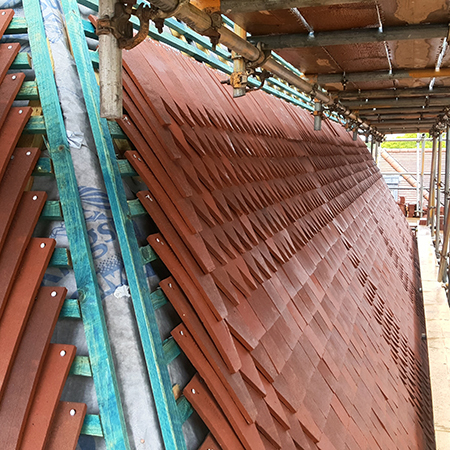 In order to create the complex geometric pattern, the roof tiles were all made by hand to a size of 400mm long and 100mm wide with a curvature that was within very small tolerances. 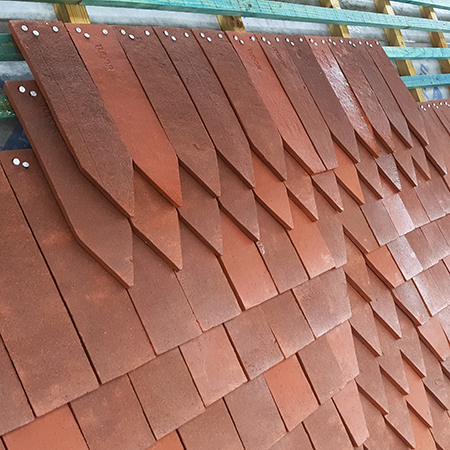 Six different designs of bespoke tiles, in two colour-ways of each, were used and bespoke hip tiles were specially created with meticulous attention to detail from architect’s three-D drawings. 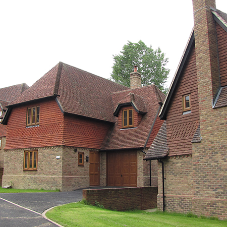 According to the judges: "The tiling pattern on this project is beautiful. 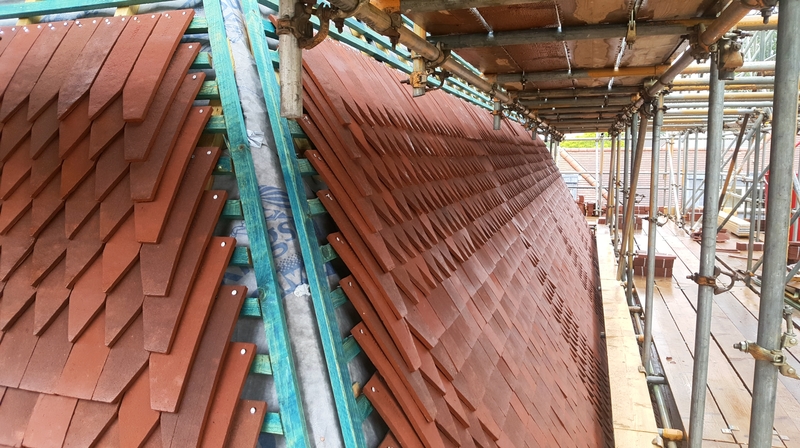 It was good to see the tiles being used creatively, and the fact that it was completely bespoke to the building worked very strongly in its favour. 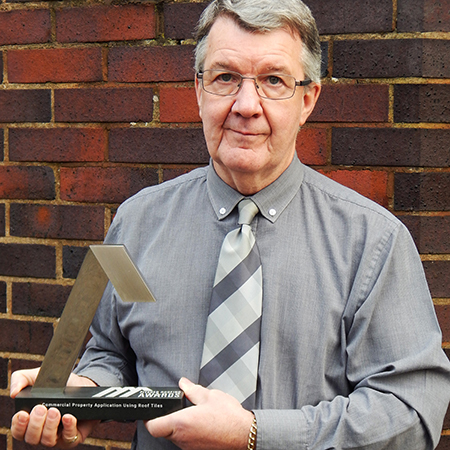 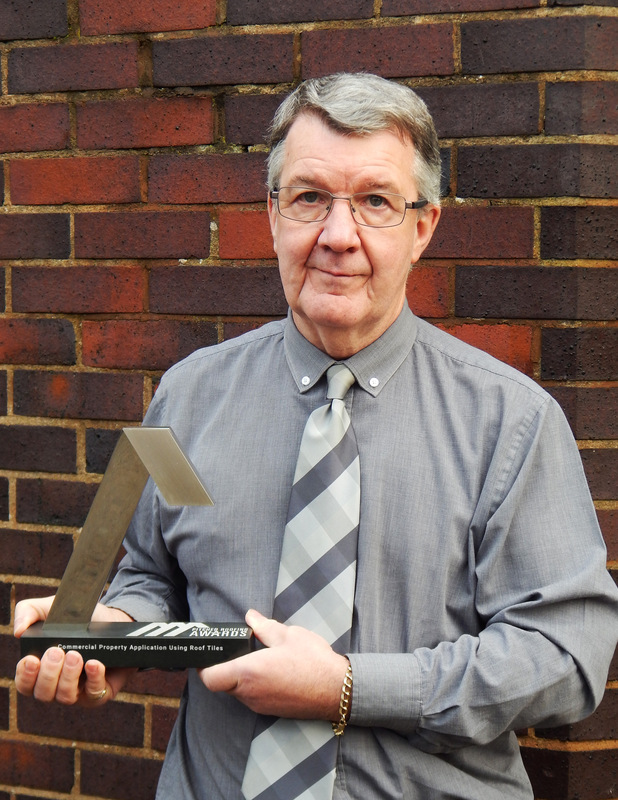 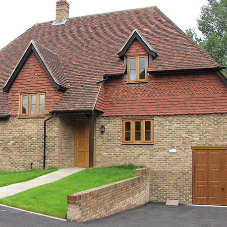 The steep pitch lends itself to the design and it just looks great." 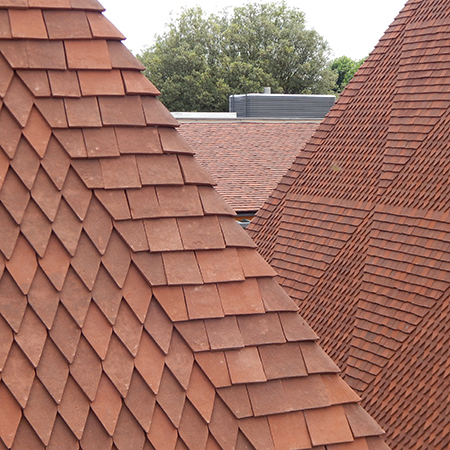 Tudor’s clay roof tiles use the flexibility of age-old handmaking techniques in order to create an ‘instant aged’ and traditional time weathered appearance, which appeals to both heritage and architectural markets. 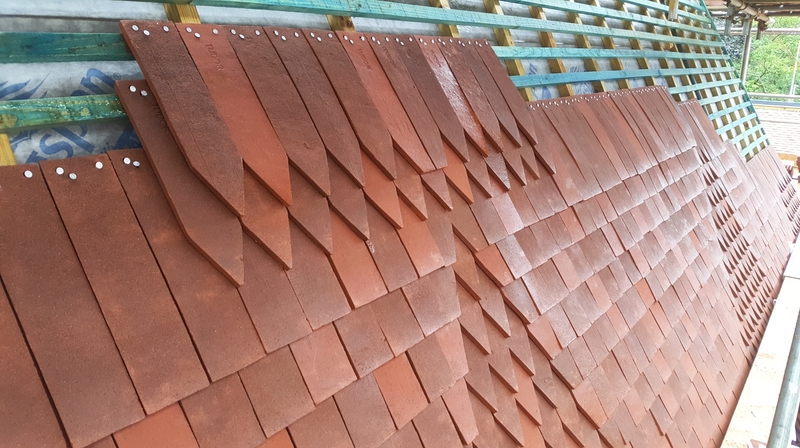 Made from Etruria Marl clay, each tile is carefully hand-pressed, moulded and trimmed and then strengthened using advanced firing techniques, in order to give exceptional durability to modern performance standards.